Two steps forward, one step back. Or maybe just to the side. Upstream and downstream actions have collided to result in whole prices treading water. 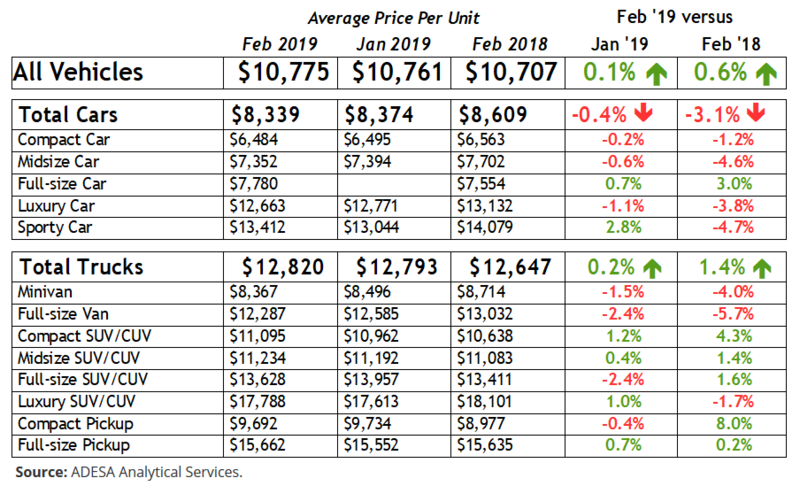 KAR Auction Services chief economist Tom Kontos recently released interesting numbers comparing February wholesale prices in 2019 with those of the previous month as well as prices from a year ago. The numbers – pulled in from ADESA Analytical Services’ monthly analysis – compares cars and trucks both overall and broken down by class. 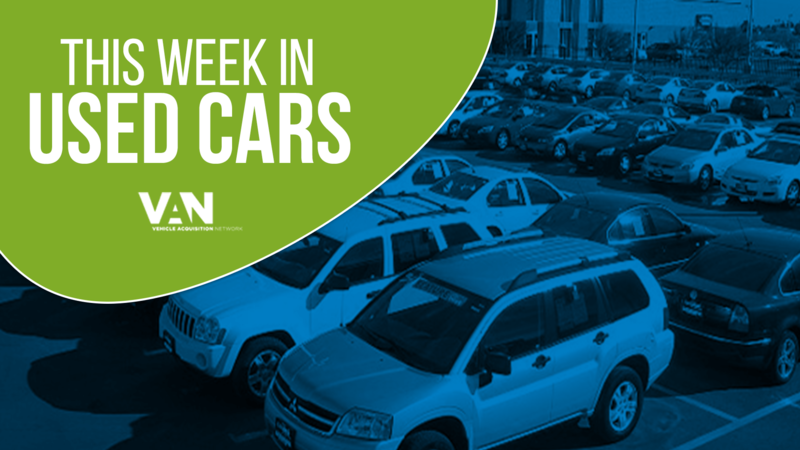 In February of 2019, the overall wholesale prices for all used vehicles averaged $10,775. This represented an increase of 0.1% from the previous months, and an 0.6% increase from February of 2018. Looking more closely at the data, Kontos notes that car segment prices were down month to month while the opposite was true when comparing trucks. “Average wholesale prices were relatively flat in February, as opposing forces largely canceled each other out,” he said in the February edition of his YouTube series Kontos Kommentary. AVP for used vehicles remarketed by manufacturers rose 1.7% month-over-month but dropped 1.8% year-over-year. Prices for fleet/lease consignors came in 0.4% lower month-to-month but jumped 4.6% year-over-year. Average prices for dealer consignors in February saw a 0.4% increase versus January and 0.3% relative to the previous year. Retail used-vehicle sales by franchised dealers, and independent dealers each increased by 4% year-over-year in February. You can catch Tom’s full commentary on February wholesale prices via his YouTube series, Kontos Kommentary.